Lovely home with 2 bedrooms, 2.5 bathrooms, and a large loft. This property is located in the highly sought after Continental Country Club sitting right on the golf course with breathtaking mountain and golf course views. You will be greeted by an open concept living space that is perfect for entertaining. The spacious living room has a cozy fireplace that is sure to captivate your guests with it’s stone fireplace and rustic wooden ceilings. Flow right through the living room out onto the open back deck to enjoy the gorgeous views complete with a gas line that’s perfect for grilling. Upstairs offers a large north facing master bedroom and spacious loft. To makes things even nicer, the HOA has just replaced the exterior siding. Schedule your private tour today! 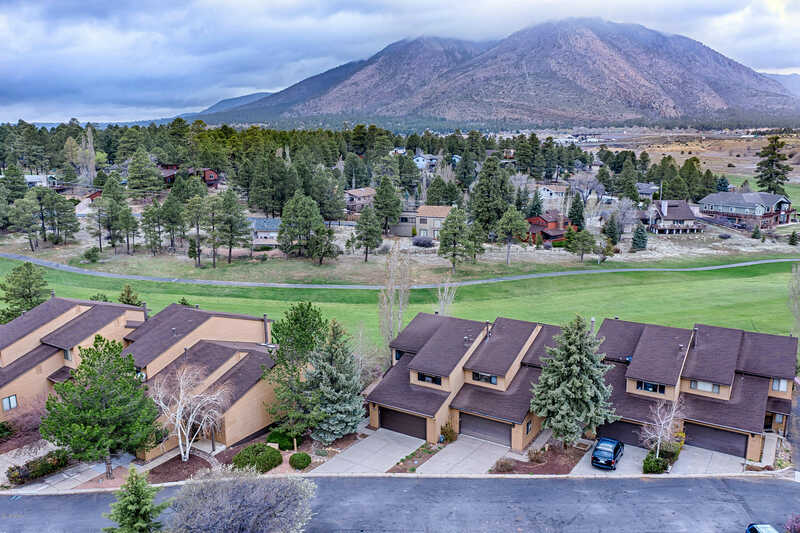 I would like to schedule a showing appointment for this property: MLS# 176907 – $385,000 – 2900 N Saddleback Way Unit 47, Flagstaff, AZ 86004.